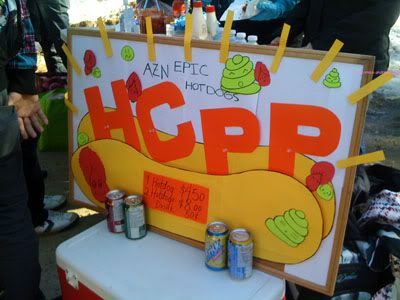 Today on Campus, a group called the Heart of the City Piano Program (HCPP) was having a BBQ in main quad selling revolutionary "azn epic hotdogs" in order to raise money to fund their student group, which provides piano lessons for inner city children. How exactly were the hot dogs revolutionary? 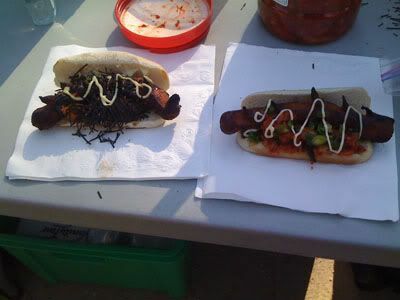 You had the choice of purchasing a kimchi hot dog or a wasabi hot dog. Kind of reminds me of japadogs, but I wanted to see how exactly they were going to make them, plus the proceeds were going towards a good cause. Lisa and I arrived to their little booth shortly after they opened. They had a decently long line going already, which is always nice to see when money made is for a good cause! I really am not a fan of wasabi, and you all know I love my kimchi, so I was definitely getting the kimchi hot dog :) The kimchi dog was composed of a beef weiner, kimchi, green onions, japanese mayo, and sriracha chili sauce. 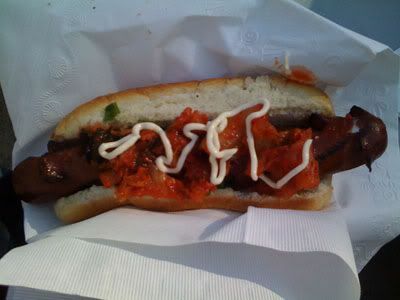 The hot dog itself was tasty, and the kimchi gave it a kick with the spiciness. However, my hot dog was cold in the middle & there wasn't much kimchi hugging my hot dog. 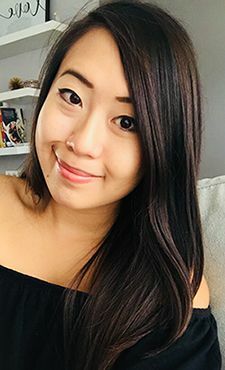 I definitely know what to change up when I make this at home!